Golf season started in Oregon yesterday. Here in the Willamette Valley, it was below 40, rainy, and windy. 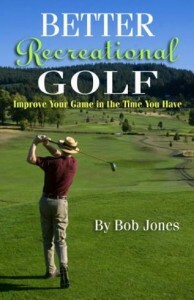 So I stayed at home in my warm, dry living room and read a book about how to play golf. I like to have fun when I play golf. Cold and wet isn’t fun. The thing about golf that keeps many of us coming back is that we find a little thing to change in our swing that makes us think, “This time I’ve really got it!” I found one a few days ago. I tend to hit left. The ball starts out fairly straight, but curves left. After trying this and that for years to correct it, I finally noticed that when I take the club back, my right elbow doesn’t bend right away. This jams my left hand, closing the clubface. So three feet into my backswing I’ve already set up my hook. I’ve been practicing letting that right elbow start folding as soon as I take the club back. It feels good, and the clubface stays square. I can’t wait for the weather to get better so I can try it out. 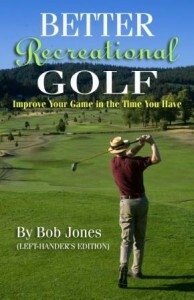 BTW: I’ve started work on my next book, Advanced Recreational Golf: How to Become a Single-Digit Handicapper. 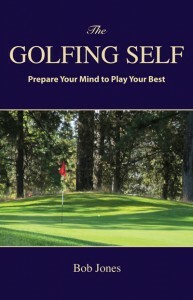 The book will integrate text and video, and will come out in Spring 2012.